What is femininity, feminine energy, feminine power, and feminine essence (collectively “the feminine”)? Femininity is power and strength fueled by creativity and love. Where other powers and strengths are fueled by a desire to dominate, take control, or conquer (not inherently bad things), femininity is sourced by the energies of expansive love, abundance, creation, and harmonious expression. How is feminine energy different from masculine energy and is one better than the other? First, all people have a mix of both essences within and some women are inherently more masculine, just as some men are more feminine. A person’s predominant essence is not limited by gender. Neither essence is superior and both are vital to creating a fair, abundant, and safe world. The most important thing is to discover and follow your individual truth. The masculine essence seeks to compete, control, develop, dominate, and build. It is motivated by achievement and tends to stride out into the world and get what it wants. It thinks logically and doggedly pursues its interests in a linear, focused way. It feels successful in victory. By contrast the feminine essence seeks to collaborate, cooperate, nurture, create and must feel inspired to really thrive. It appreciates the process as much as the outcome and values personal connections developed along the way. For the feminine essence to reach its greatest sense of fulfillment, the qualities of beauty, purpose, joy, and love must be woven into every aspect of life. If the masculine essence creates a “dog eat dog” world, the feminine essence creates a “glow means grow” haven. What do I mean when I say the feminist movement went awry? The feminist movement brought many vital and valuable gifts to women, but instead of liberating the feminine, it locked it away and adopted patriarchal norms, believing that masculine is better than feminine. Instead of bringing the gifts, strengths and powers of femininity into mainstream expression, women changed to succeed in a man’s world. We gained in rights and opportunities and abandoned femininity. In my view, any feminist movement must celebrate and include the feminine. What are the consequences of repressing femininity? Our feminine essence does not cease to exist when repressed. On the contrary, it becomes part of our shadow selves festering and feeding on it’s own distress. At some point, it becomes too powerful to contain and invariably wreaks havoc on women’s lives. Its manifestations are many, depression, over-spending, increased alcohol and drug use, obesity, and a litany of other symptoms. The greatest breakthrough usually occurs when a women realizes that the feminist nirvana she was taught to want isn’t what she thought it would be. She’s over-worked, over-scheduled and all things to all people, except herself. 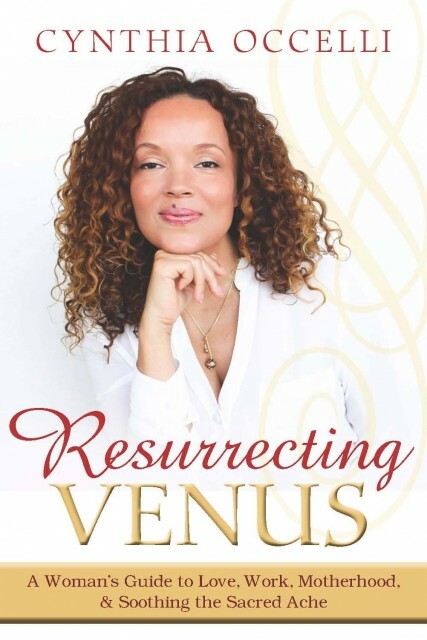 Her needs for creativity, nature, a nurturing sisterhood, beauty, un-productivity, spiritual connection, and unconditional love have gone unmet for decades and she’s suffered deeply. At this point of disheartened realization, she has a tremendous opportunity to honor her feminine essence and shift her entire life. It’s a magnificent awakening and transformation. 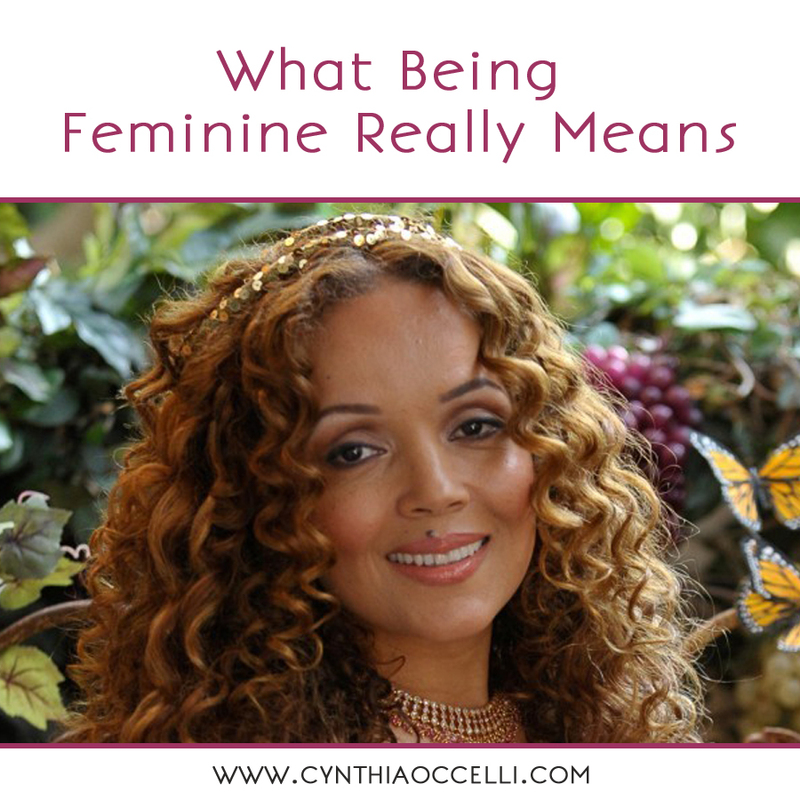 So what does it mean to be feminine? Being feminine means returning to the garden beneath your heart-sun. It’s living from the space two inches below and behind your navel, the seat of your soul and intuition. It means shifting your priorities to making the moments of your life (after all, life is only a collection of moments) nurturing and fulfilling for you. It means giving real value and importance to your needs for creativity, emotional intimacy, play, and sensual experiences. A women connected to her feminine essence chooses cooperation, kindness, and compassion over competition, dominance, and aggressiveness (though she can shapeshift to be these when necessary). She gives her sense of rest, inner beauty, and soothing environments a high priority in her life. She recognizes the invaluable worth of the feminine and is unapologetic in her embracing of them. Her life goal is to enjoy living. Beautiful Cynthia. Thank you for this. I needed a reminder of true Feminine power…after years of telling myself that I was not living up to the societal norms of success. Usually based on what you mentioned- the Masculine imitated version of “Feminine” power. Amber, It’s terrible that we lose precious years enslaved to ideas that aren’t even ours. Thank goodness you’re free now and you see that living up to YOUR norms is all you’ve ever needed to do (and it’s all that will ever make you happy). Hi, Cynthia. You should record this one for audio/video. It’s a powerful one. Thank you, Sandy. That’s a great idea, but it might be too long. What do you think of breaking down one question at a time? Good idea, thank you Sandy! If a survey finds that many women are choosing their careers based on personal fullfilment instead of an obsessive pursue for money/status, it’s portrayed as somehow wrong and society wonders how to get their minds changed… while seeing as perfectly normal the men giving up careers they’ld like for those where the (big) money is at. Even being masculine doesn’t impliy putting all of your efforts to become a big shot in an individualistic way, barely spending time with your children (if you’re into having them), etc. There are greater ambitions in life. Btw, I do realize there’s still an opposite pressure and prejudice making it harder for women to get into higher job positions, etc… there’s plenty of talk about that elsewhere, it’s just that here the focus is on another aspect of the problem. Mercelo – Thank you for sharing such an interesting aspect of this issue. It’s insidious and true and we hardly notice it. Somehow I never saw these comments! So wonderful. I really get your point, Marcelo. Very insightful . I agree completely . Looking forward to the following articles !!! Thank you !